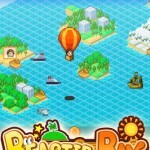 The Sushi Spinnery ($3.99) by Kairosoft Co.,Ltd is a tasty simulation game where you manage the sushi bar of your dreams. 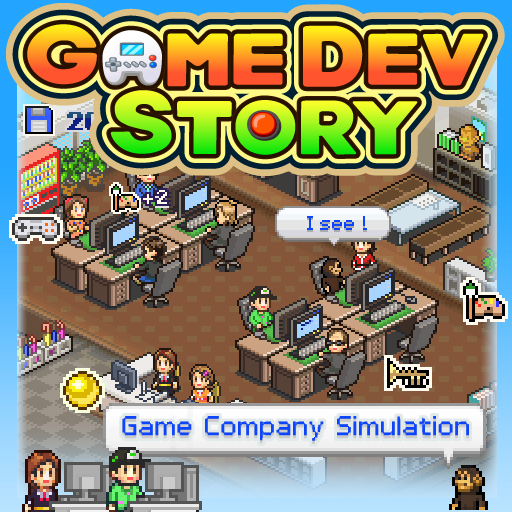 If you are a fan of other Kairosoft titles, such as Game Dev Story and Mega Mall Story, then you will enjoy this delicious sim. I, for one, love sushi. 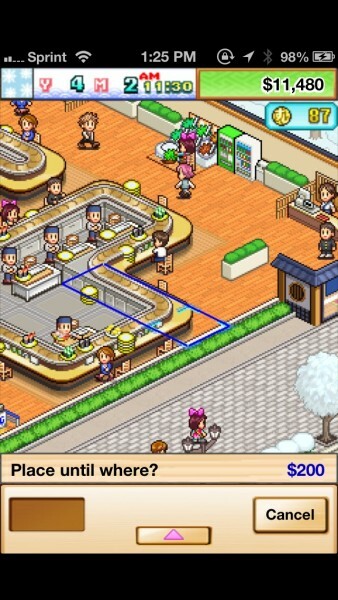 So when I saw that Kairosoft released a sushi restaurant simulation, I knew I had to have it. I mean, how could I possibly resist the chance of combining my love of sushi with an addictive simulation game? 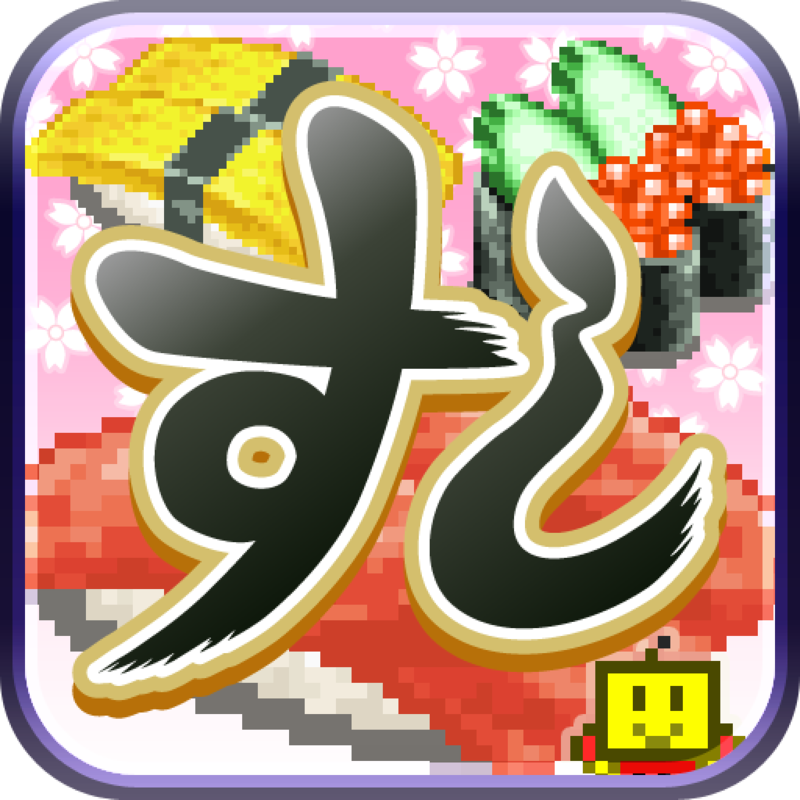 Like the rest of their games, The Sushi Spinnery features pixelated graphics that are reminiscent of the 16 and 32-bit era of games. 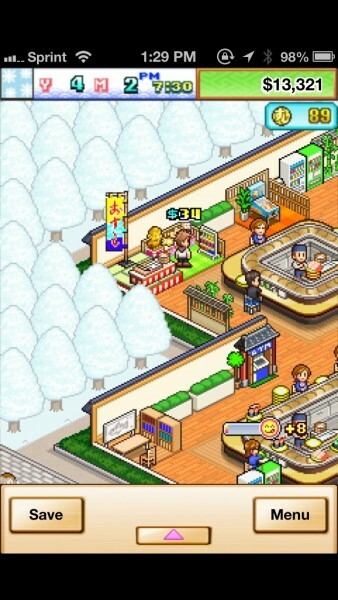 I’m actually a big fan of Kairosoft’s visual style, so I am pleased to see pixelated sushi adorn my screen in this game. The music is also quirky and delightful, and I didn’t find it annoying at all. 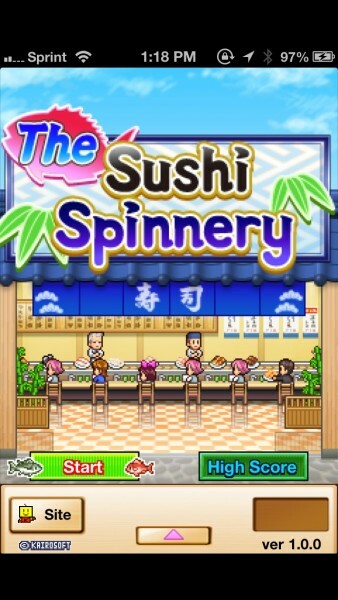 The Sushi Spinnery is menu-based like all of their other titles. 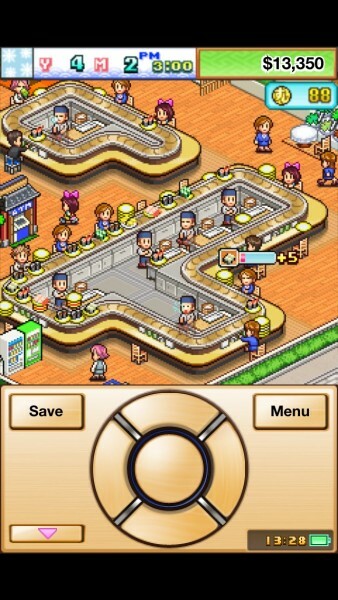 When you start the game, your restaurant will be small, with only one conveyor belt with four seats. 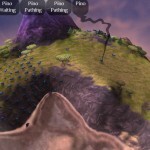 You will eventually build more conveyor belts, complete with part-time prep workers. These guys will pump out sushi on to the conveyor belts for your customers to purchase, but the time to make each sushi item will depend on the skill of your prep team. 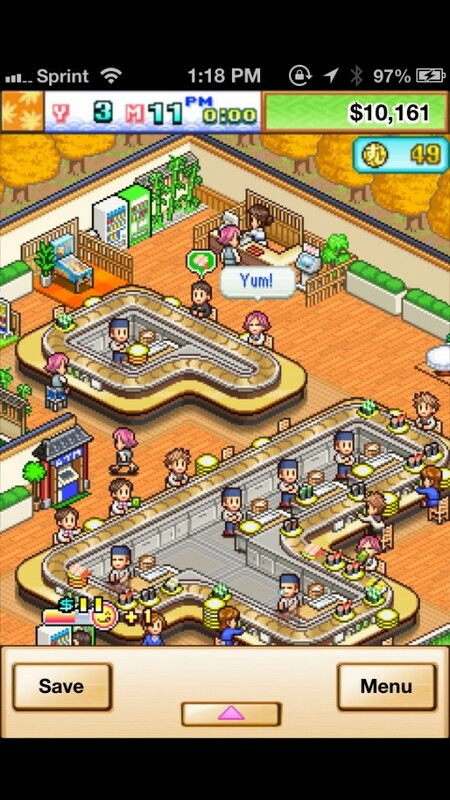 You can expand your conveyor belts to have more seats in the restaurant, but it’s also important to build amenities near seats. 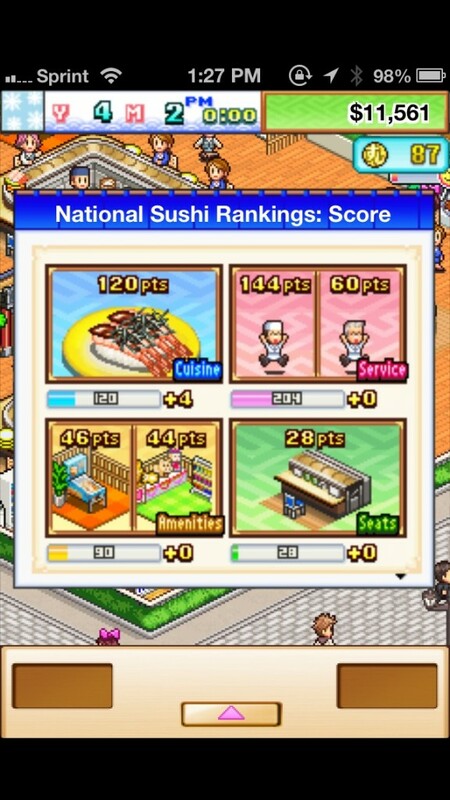 Doing this will increase the chance of customers staying longer and using the amenities near their seats, meaning more business for you, as well as earning “Sushi Coins.” The Sushi Coins are important for progressing in the game, so it’s vital that you earn as many of them as you can. 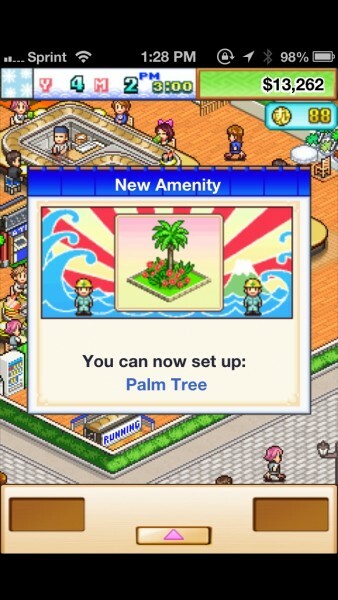 As you play, you will also be able to build things like test kitchens, which allow you to create new dishes, though they will require a chef with the required skills to create. New dishes will require a base, a core ingredient, and then you are able to choose additional toppings for it as well, but doing this will raise the skill required to prepare it. 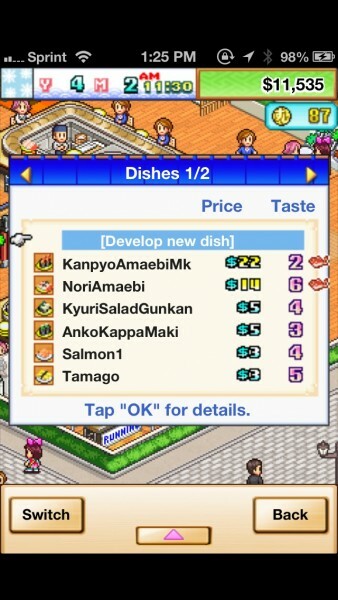 Important characters will be unlocked as they find your restaurant, such as the shop owner, consultant, and other people who can help your sushi business grow. Getting new ingredients, PR, training or hiring chefs, and other activities may require either money or sushi coins to get, so you will need to save up either accordingly. There are also contests for you to enter your dishes in, though you should pay attention to what the judges are looking for before submitting. 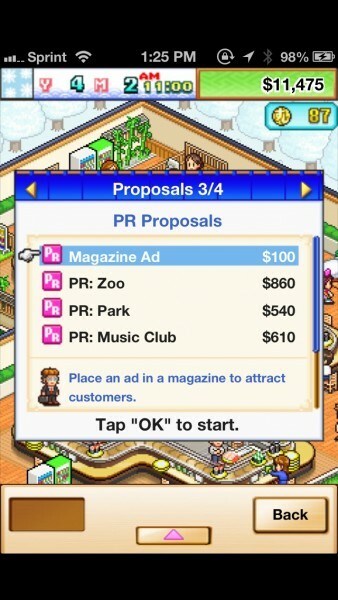 The most fun part of this game is that each customer will have their own preferences, which you should try and pay attention to. Otherwise, they will leave if they do not get what they want. 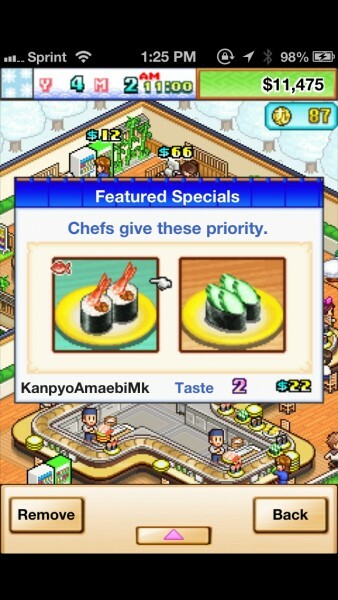 You can also change the specials you serve, which basically mean that two dishes get priority on the menu. It’s also important to pay attention to the seasons, since some ingredients will be dependent on the time of the year. I’m really enjoying The Sushi Spinnery so far, because I was playing it for an hour straight before I managed to peel myself away from it in order to write this review. The only negative thing I can really think of is the fact that you will end up losing a lot of productivity due to this game. That, and this being just like their previous titles, which may have gotten tiring for some people out there. Still, if you are a fan of sushi, simulation games, or just Kairosoft, then I highly recommend that you go download The Sushi Spinnery and give it a spin for yourself. It’s available as a universal download in the App Store for $3.99.